When I finally finished the first draft of this exhaustive list of my favorite wines from 2018, I realized I had to cut it back to only those wines that I’d rated 3 stars or I’d have pages and pages, and I knew you only wanted to read about the BEST! (note: this draft still has 9 pages). In the course of my tastings, I found I had under-valued the 2015 and 2016 vintages for Virginia red wines, so keep on the lookout for them here and elsewhere. Also, as you may have read in my previous blog post, 2018 was handled by Virginia winemakers with courage and sober thinking, as ship captains during a gale, with the results being much better than I expected. I also found that, while the 2016 vintage in the Finger Lakes was the best since 2010, 2017 is yielding fresh and exciting wines both in reds and whites. Ankida Ridge Blanc de Blancs 2015, VA: Made from Chardonnay grapes grown by Ankida Ridge Vineyards in Amherst Co. (who also make outstanding pinot noir and very good still Chardonnay). Often, blanc de blancs sparkling wines can be high in acid, but they aged this fine methode champenoise wine in neutral French oak, mellowing it and also evolving it, so that it is smooth and elegant. Dr. Konstantin Frank Blanc de Noirs 2013, Finger Lakes, NY: This outstanding blanc de (pinot) noirs is also fine methode champenoise, and with five plus years of age, is mellow and rich yet fresh and bright with red cherry aromas and flavors along with smoky toast notes and broad, full palate. Consistently my favorite domestic blanc de noirs, this 2013 is particularly fine. Azure Hill Sparkling Riesling Brut, Finger Lakes, NY (from 2014 but will be labeled a non-vintage). Methode champenoise and all hand-produced, including riddling. This was aged for a year in tank, then bottled in 2015, where it was on the yeast (en tirage) for 15-16 months before being disgorged. Nose: vivid green apple and mineral, white flowers, creamy/smoky toasty lees. Palate: ripe, bright pear and apple flavors, vivid acidity, excellent fruit/acid balance, creamy on the finish but balanced with crisp apple and lime acidity. Brilliant and bone dry. ****Corton-Charlemagne, Cotes de Beaune 2014,tasted at Steven Spurrier’s “My Life in Wine” dinner at Veritas Vineyards, Jan. 28th. 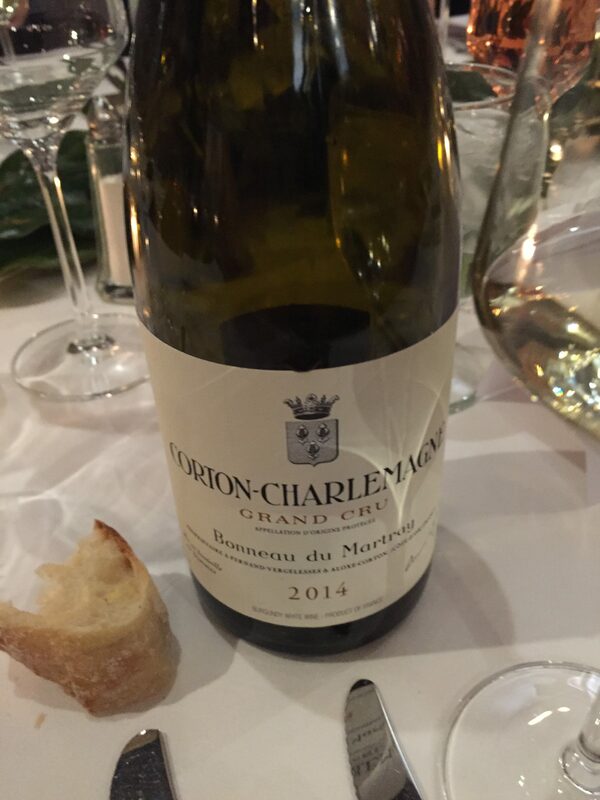 Regardless of anything else, it’s always a thrill to have the privilege of tasting a Corton-Charlemagne. This is without a doubt the most layered, complex and magnificent white wine I’ve tasted, but that’s really no surprise. Like the Schlossberg riesling, it starts on the nose with flinty, citrus minerality, then with some lemony lees and a hint of cream and butterscotch but with the citrus minerality dominant. On the palate – WOW! Linear acidity like a race car zooms across your tongue, brilliant acidity with smoky shale flavors; it’s all about the minerality. On the finish, it’s lonnnnng, and on the palate the volume keeps growing. Magnificent. Paired with a white fish roulade with foi gras, persillade, and caramelized onion. Kemmeter Wines Dry Riesling 2017, Seneca Lake Estate Vineyard, NY: Nose, delicate with fresh white flowers and white peach, apple; racy. Palate: melts in my mouth; ethereal, fresh, lively flavors of apple and concentrated white peach, with residual sugar only 0.8%. Clones used are Geisenheim #198 and #239. Finger Lakes veteran winemaker Johannes Reinhardt uses no addition of sweet reserve or pre-ferment sugar (to raise alcohol), and uses no fining or filtration. Although his 2017 crop load was huge, he dropped sixty percent of the potential crop to concentrate the flavors and ripeness in the remaining fruit, which helps explain why this wine is so exquisite. Kemmeter “San San” Estate Riesling 2016: Nose: lovely white flowers, ripe red apples, white peach; very inviting. Palate: firm acidity, red apple, ripe white peach, lively but also rich, firm and concentrated. Lingering flavors of apple, peach and tangerine. Full profile of aromatics and flavors, elegant 4.8% residual sugar (spaetlese level) drinks like only half that much, 20% of the fruit was botrytis-affected, lively, linear finish. Impressive now but worth laying down at least another year. Azure Hill Vyrds. Estate Dry Riesling 2017: Brilliant clarity on the nose, lovely bright fresh citrus notes from lime to kumquat, with some white flowers and mineral notes with some yellow apple. Palate: dry, very racy and taut, high acid (wine pH is below 3.0), but balanced, with exotic citrus (kumquat, tangerine) some peach flavors, very intense, vivacious, brilliant acidity and minerality, a “First Growth” style quality. Silver Thread Vineyards Riesling STV Estate 2017, Seneca Lake, NY: Nose: lovely white flowers and white peach, yellow apple. Palate: racy and then solid white peach, fresh apricot fruit core. Young, vibrant and racy, great for another 2 years, then will lay down for improving for 15 years! 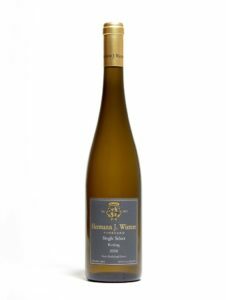 Hermann J. Wiemer Dry Gewurztraminer 2017, Finger Lakes, NY: Nose: classic lychee notes, but as a hint, with lots of spice. Palate: exquisitely balanced, perfect varietal expression in the Alsatian style, spicy grapefruit flavors. Ankida Ridge Vineyards Chardonnay 2016, VA: Nose: impressive Meursault style; aromas of toast, hazelnut, almond and butterscotch but a fresh lemon/citrus note. Palate: round, rich, well-layered texzture, smoky/flinty, then fresh, bright lemon on the finish. Excellent balance, impressive complexity and true to the oaked white Burgundy style. Could enjoy alone, but best with food. Chateau de Beaucastel, Chateauneuf du Pape 2007, tasted at Steven Spurrier’s “My Life in Wine” dinner at Veritas Vineyards, Jan. 28th. For me, this was the star of the red wines, as the Corton Charlemagne was for the whites. Color: dark and brooding (made with a majority of mourvedre and all other 13 varieties approved for the appellation). Nose: amazing clean earth and fresh meat aromas. Palate: tastes like the essence of Chateauneuf du Pape; warm, deep, rich but then lively, fresh and vibrant on the palate. Brilliant, balanced, elegant and racy. What a balance of opposites! It reminded me of a Chopin Etude going from major to minor. Mr. Spurrier says he first went to the chateau in 1972 because he was buying their wines for his Paris shop and wanted to meet the proprietors, and they opened some older vintages back to 1919! Served with 12-month manchego cheese, carrot jam and dried fruit. Ankida Ridge Vineyards Pinot Noir 2015, VA (1,800 ft. estate vineyard). Color: healthy, vibrant hue. Nose: fresh scented red cherries, pure and clean. Palate: dense, richly textured and layered, firm fresh acidity, bright red cherry fruit with hints of baking spices. Still young, needs at least another year but should last until 2021, possibly longer. Remarkable quality, concentration, longevity and typicity. Vivacious dancing fruit and acid on the finish. A year ago, I put this wine in a five-bottle blind tasting flight for club members, and even going up against a Premier Cru Beaune of the same vintage (which was a “10” on a 1-10 scale in Burgundy), the Ankida Ridge Pinot was the favorite choice. King Family Vineyards Meritage Whole Cluster 2017, Monticello, VA (barrel sample). (Petit Verdot, Cabernet Franc, Merlot) Color: dark ruby. Nose: dried garden herbs, then red and black fruits. Palate: forward flavors of boysenberries! Higher than usual alcohol, wild brambleberry fruits. Yes! Early Mountain Vineyards Tannat 2017(Honah-Lee Vineyard). Color: black hole red! Nose: fresh clean graphite, black fruits. Palate: HUGE tannins, ripe, plush, will age for years. Veritas Vineyards Petit Verdot 2015, Monticello, VA: (bottled). Nose: brambleberry, vanilla and oak. Palate: rich, broad, full-bodied. Huge volume, just hitting stride. Large and great potential. Early Mountain Vineyards “Alluvium” 2015: Merlot from the Quaker Run Vineyard in Madison County is the base, with 19% Petit Verdot). Color: nicely dark! Nose: complex and integrated floral/fruits, as with the 2014 vintage. Palate: rich, focused, densely concentrated black fruits, good now but can age. Incredible velvety smooth tannins. Glass House Winery Cabernet Franc 2017, Monticello, VA: This shows that when it comes to crafting fine Cabernet Franc, some oak is good but more is less. This wine was aged in neutral 1400 liter cask (about the volume of seven regular, 55 gallon oak barrels). Nose: elegant, fruit-driven, with scented cherries. Palate: rich texture but fresh, fruit-driven, with spice and cherry flavors. No obvious oak, some pencil lead hints, juicy and lively, but not “smoke-and-mirrors”, fantastic integration and elegance! Ankida Ridge Vineyards Pinot Noir Reserve 2017, VA: Ankida Ridge hasn’t had a full estate vintage of its high elevation, Dijon clone Virginia pinot noir on such a high plane until the great 2017 vintage. Despite the (undoubted) quality of the regular blend, for the first time winemaker Nathan Vrooman set aside the two best barrels of vintage to make their first reserve, which I was fortunate enough to be allowed to taste from the barrel during the 2018 Holiday Party at the winery. These two barrels were from whole cluster fermented grapes, with the stems giving natural tannins, while the whole berries gave delicate fresh fruitiness. Nose: clean, exotic, like dark chocolate-covered black cherries and raspberries. Palate: vibrant, clean, no funk or reduction, spices and black fruits, a hint of smoke, layered on the texture, smooth and rich, with a sublime, lingering finish. Exquisite for a barrel sample, I expect I may give it an even higher (4 stars) when it’s bottled and mature. ****Early Mountain Vineyards “Rise” 2015: This wine is EMV’s top level red. Blend: 57% Merlot, 15% Cabernet Franc, 14% Petit Verdot, 14% Tannat. Nose: black fruits, nuts and spices. Stem inclusion was used. Palate: WOW! HUGE volume, rich, dense, ripe and velvety smooth but with a fresh finish. Reminds me of the music of Gustav Mahler; power and finesse. 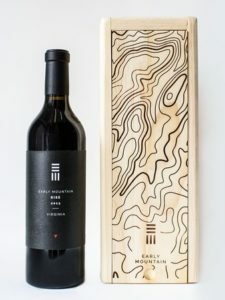 This wine is likely the first Virginia wine of current release to be priced at $95.00, but if you’re in the market for any red wine of that price, why not this one? There are lots of copy-cat, over-oaked, low acid and over-tannic cabernets from Napa Valley that don’t have the elegant concentration that this does. My 2018 “Favorites” list may seem a little New York-weighted, but I was one of the dozen judges who evaluated, and certified, the following 99 Virginia gold medal-winning wines in the 2018 Governor’s Cup competition in February. I tasted each of the wines below, and judges from Dave McIntyre to Steven Spurrier all agreed we’d never tasted a Governor’s Cup competition like this one, with so many outstanding wines from different grape varieties, blends and vintages. Weis Vyrds. Riesling Icewine 2017: Nose: wow! Apple, peach and apricot, all very fresh. Palate: butterscotch, peach and apricot, pineapple, and mango flavors; rock on! Fantastic fruit/acid balance lovely delicacy; outstanding. Fox Run Vineyards Fine Old Tawny Port NV This exquisite example of solera aging and blending in the classic Portuguese tradition rewards the port connoisseur with a sensual symphony that tastes like late autumn in a glass. Color is a deep garnet with a bright orange rim. “After a minimum of three years, and often much longer, select barrels are blended together, producing small quantities of a unique and captivating sweet fortified wine.” Nose: walnuts, roasted pecans, marmalade, Christmas spices and dried fruits. Palate: rich, intense but yet elegant and balanced, bringing all of the aromatic elements together in flavors, with an almost unctuous texture that is still balanced with acidity (including an appropriate level of volatile acidity). Ripe figs and date flavors with citrus rind and spices, a long sweet yet crisp finish with a nutty aftertaste. I understand this wine has a cult following even at $50/375 ml; in fact, it’s not advertised at the winery and they won’t let you buy more than six bottles. Outstanding; a great idea for a gift for a fan of classic port wine. 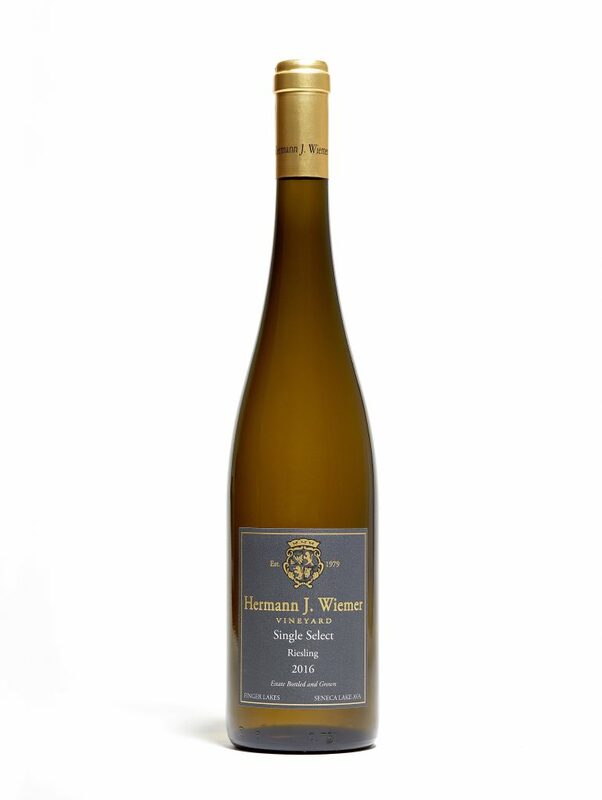 ****Hermann J. Wiemer Vineyards Single Select Riesling 2016, Josef (estate) Vineyard, Seneca Lake, NY: This is the most exquisite white wine I tasted in 2017, and the best sweet riesling this side of Germany. It was rated 95 points by Wine & Spirits. At 15% residual sugar (150 g/l), this wine is trockenbeerenauslese level for sweetness, harvested in November at 28.4% sugar by volume (8.5% alcohol). Nose: AMAZING! Glorious peach and apricot aromas yet delicate and fresh, with white flowers. So true to the German model. Palate: juicy but fresh and delicate, sweet but very balanced with fine delicate acidity. Musically, it reminds me of the Emperor Waltz by Johann Strauss, Jr. In other words, as good as it gets. Rating Scale: all wines here are at least *** stars or outstanding; the **** star wines are for standing and applauding, then counting the years until you retire and can enjoy them when you’re both mature. I hope you get to enjoy at least some of these wines in 2019, as well as many others I had to leave out (you can always check the archives and also subscribe to my blog with the new widget at the top right).